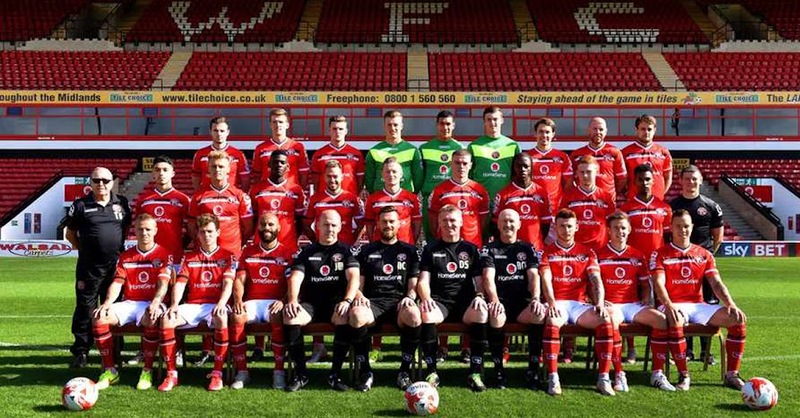 The 2015-16 Walsall FC team. Image credit: www.expressandstar.com. The Philippine Azkals’ first-choice goalkeeper Neil Etheridge missed a chance to play at Wembley after his English League One club Walsall lost both legs of the promotion play-offs to Barnsley by the aggregate score of 6-1. League One is England’s third tier professional football league. The top two teams after 46 matches of home and away fixtures for each club are automatically promoted to the second tier English League Championship. The third to sixth placed clubs played each other in two-legged home-and-away semi-finals, with the winners of both ties contesting the last promotion slot to the English League Championship in a one-off tie at Wembley Stadium in London. 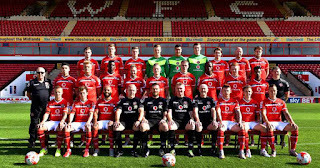 Walsall, who had led League One earlier in the season, narrowly missed earning the second automatic promotion slot. The club’s 84 points were just one short of second-placed Burton Albion. Had the points been tied at the end of the regular season, Walsall would have been promoted because of a slightly superior goal difference over Burton Albion. By finishing third, Walsall was therefore pitted against sixth-placed Barnsley; while fourth placed Millwall played off against fifth-placed Bradford City. Etheridge played both legs of the semi-final tie against Barnsley, which was arguably lost right at the first leg at Barnsley’s Oakwell Stadium on the 15th of May where the higher-ranked Walsall lost 0-3. That result ultimately proved too high a mountain to climb as Walsall also lost the second leg at home at the Banks’ Stadium by 1-3 last Friday. In the other semi-final tie, Milwall defeated Bradford City 4-2 on aggregate to earn the right to play Barnsley next Sunday at Wembley for the third promotion slot into the English League Championship.